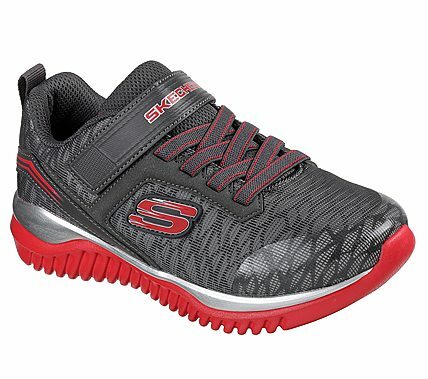 Get his sporty style kicked into high gear with the SKECHERS Turboshift shoe. Smooth mesh fabric and synthetic upper in a slip on stretch laced athletic sporty training sneaker with stitching and overlay accents. Reflective detail for high visibility.